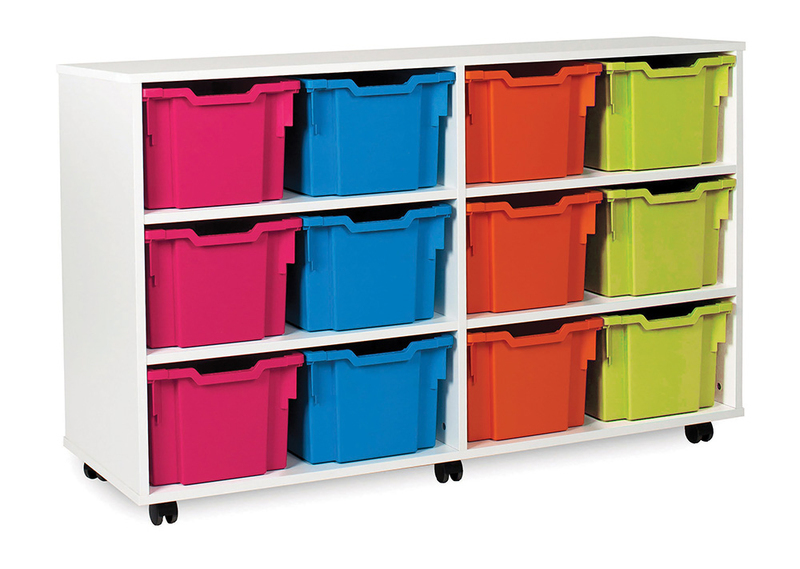 The White Range of extra deep tray classroom storage creates a modern and fresh feel to your classroom. Available with 12 or 16 extra deep Gratnells trays in a choice of 16 vibrant colours - perfect for adding a burst of colour to your classroom. Constructed from 18mm durable MFC in a fresh white finish. Supplied with easy glide castor wheels for smooth mobility. 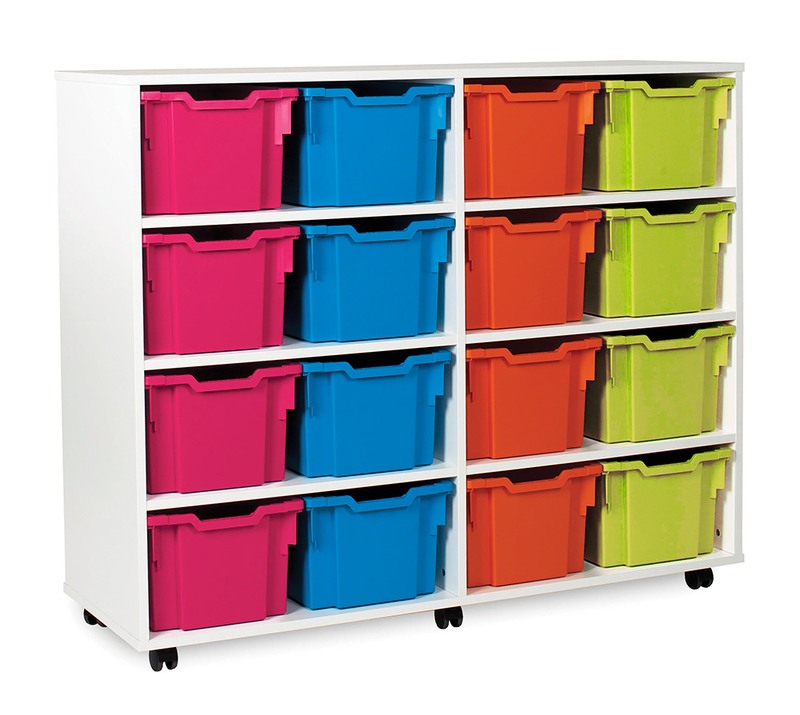 Perfect for tidying away everyday classroom materials and art supplies within schools, pre-schools and nurseries.